The genus dianthus includes over 300 species of flowers from the family Caryophyllaceae. Most of these flowers are native to Europe and parts of Asia, but a few species are from North Africa. These perennial herbs feature colorful flowers with five petals. 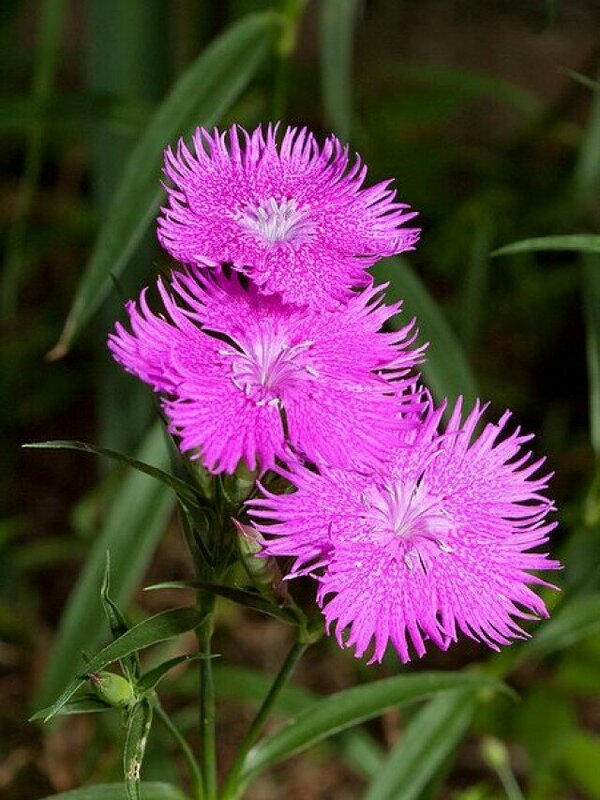 Most flowers from the genus dianthus are some shade of pink, ranging from very pale to deeper shades of pink. 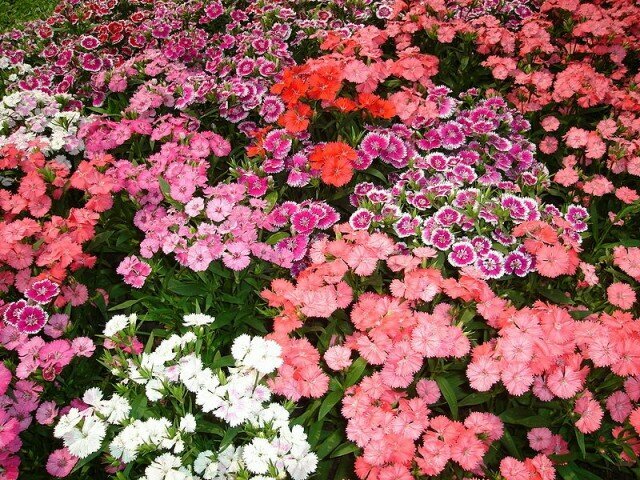 The most common types of dianthus flowers include carnations, cottage pinks, and sweet williams. These and other species are extremely popular in flower gardens, planted either as singles scattered among other types of flowers, or together in larger groups. Dianthus flowers are relatively easy to grow and care for. They are usually grown from seeds, but can also be grown using dianthus cuttings. The seeds should either be grown outdoors during warm weather, or planted indoors in a pot and transferred outside when spring arrives. Place seeds in a container filled with potting soil. This container should be shallow and should contain individual cells. Each cell should have 3-4 seeds planted in it. Do not plant the seeds deep; they should be covered with a very thin layer of potting soil. Keep the soil moist until the plants have grown and are ready to be moved outdoors. Place the container in a warm and sunny location such as a window or under fluorescent lights, until it is warm enough to plant the flowers outside. Plant flowers between two and three feet apart. The top of the roots should be even with the surface soil. Do not mulch dianthus plants. Water the flowers o­nce a week. Do not overwater dianthus flowers. If you find aphids o­n your dianthus flowers, use a garden hose to wash them off. Treat red spider mites with insecticidal soap.